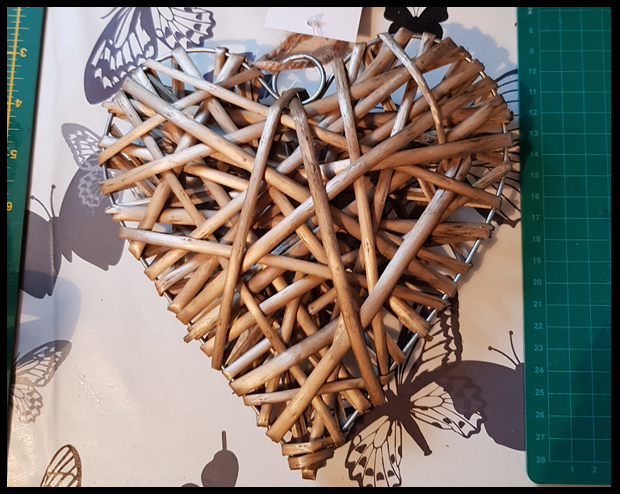 My local B&Q have some great wicker hearts for £1, and every time I go in-store I want one, but wicker doesn't fit in with my decor so I always leave without one, until this week! 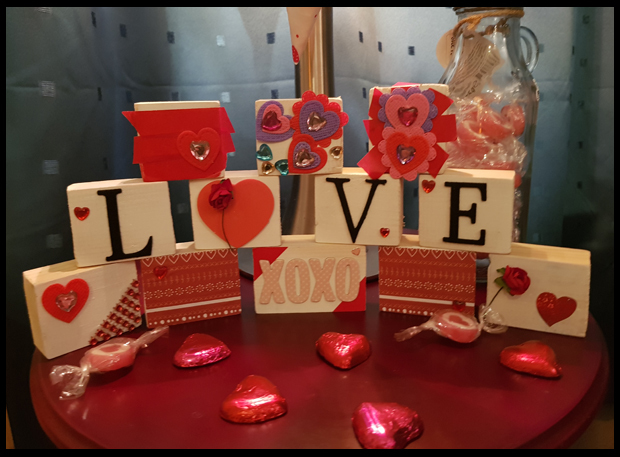 After creating some pretty little Valentine blocks with my son, I decided to decorate the room with some Valentine accessories, but always looking to complete this on a budget, I thought the wicker hearts would be perfect. 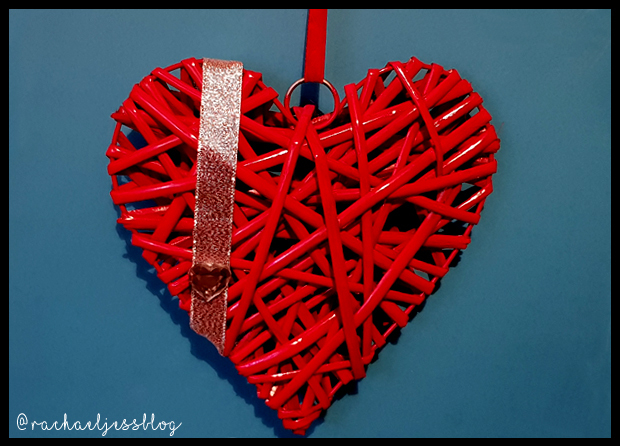 The natural wicker theme would not work in my house, and as my blocks were cream and red I decided to recover the heart with red paint and add a little decoration before hanging in the window. I used spray paint to cover my heart, this was by far the quickest way for me and I find has the best finish. 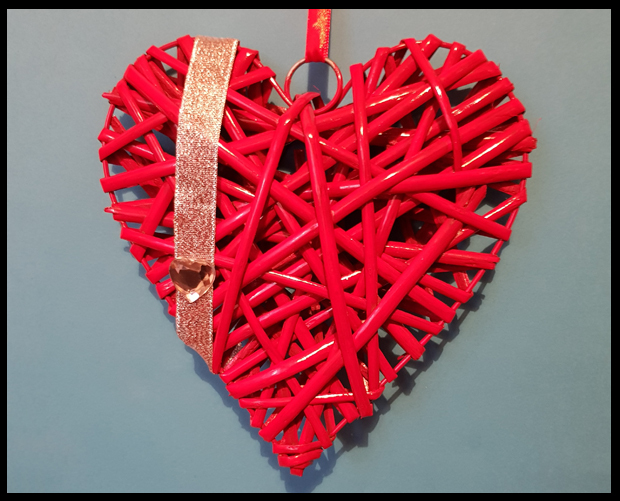 Once dry, I replaced the string with ribbon to hang the heart from and I used my glue gun to add a strip of ribbon and a gem. 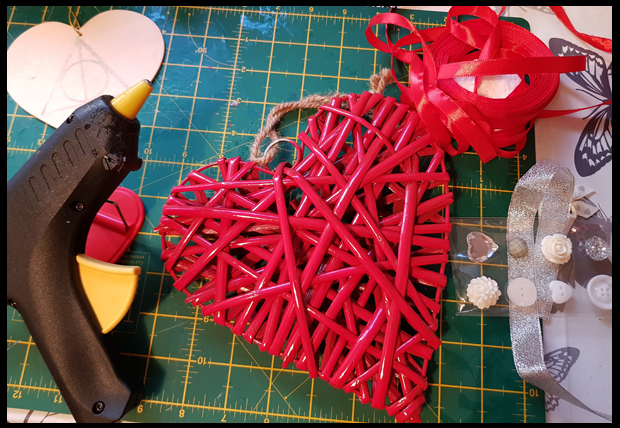 I was going to add a few pieces of ribbon and buttons too, but sometimes I find I get a bit carried away and overkill my decorations, so for this piece I just added a little with the option to add more at a later date should I wish to change up the heart.